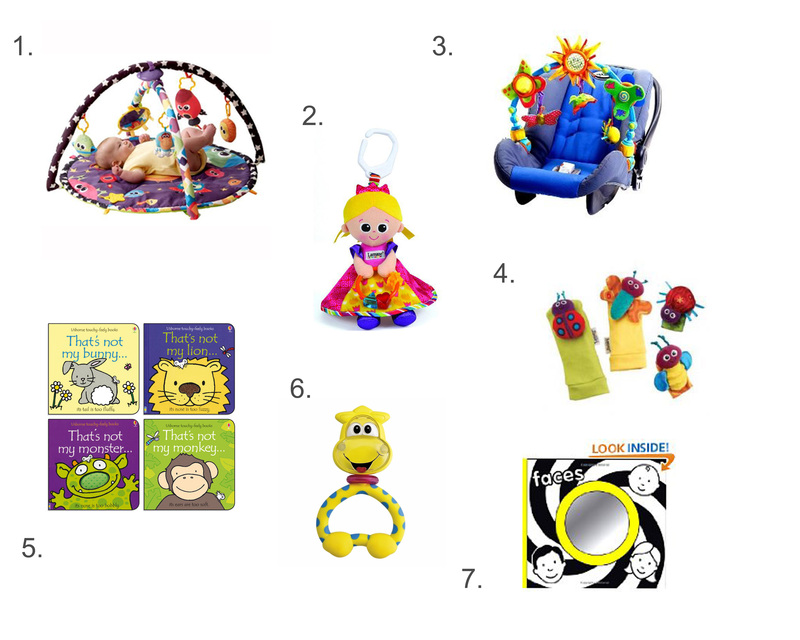 This is part 3 of my Baby Essentials posts and this time I have chosen to share my favourite baby toys. Babies don’t need a huge amount initially but the above items are some of the essentials you might need for the first 4 months. We love the Lamaze range and my little girl was bought quite a few pieces for her first Christmas, which we still have and will be using again. I love this Lamaze pay gym too. I have also read to my little girl every night since she was a few weeks old so can’t recommend books enough. Fabric books are great for them to explore and it doesn’t matter if they chew! The “That’s Not My” series are also ideal for encouraging them to explore textures and concepts. You can never go wrong with teether toys either!